Remixed in 1995 by Rhythm Masters and Pascal F.E.O.S. Remixed in 1996 by Jaydee (The 2000 Remake). This version appeared on his album 'House Nation' (2000). Remixed in 1997 by Rainforest (Tony Crooks) / Peshay / Boom Boom Satellites / David Morales / Shahin & Simon / Angel Moraes / The Smart Mob / Mr. YT / Murk (Funky Green Dogs) / Frank De Wulf. 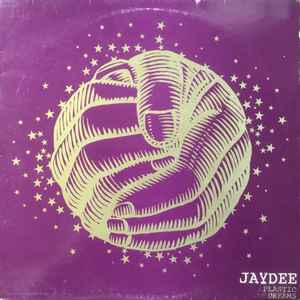 Remixed in 2003 by Jaydee / Lee-Cabrera / ATFC / Tayo + Acid Rockers / Twisted Individual / Andrea Doria. Remixed in 2006 by Switch / Micky Slim. Remixed in 2011 by Koen Groeneveld / Dino Lenny & Amnesia / Reborn / Folsch & Lanza / Housebangerz Feat. MC Joe / Valley. Covered in 2012 by Faba / Audiojack. Covered in 2014 by Larry Lan. Remixed in 2015 by Hoxton Whores / HXTN. Covered in 2016 by Ezechiel. Remixed in 2016 by Shadow Child. Covered in 2017 by Kaiser Souzai. These single sided reissues of legendary R&S tracks are great with a dedicated side to itself but would be even better if they cut the same tune on both sides. To paraphrase the Spatula City sketch in the movie UHF, ".......I loved this record so much....... I bought the T-shirt"
Not much more can be said other then this record crosses over so many genres (House, Techno, and U.K. Ardkore) that it can be used in a variety of DJ sets which is really nice. However I will specifically say that my favorite aspect of this record is that it uses the amen breakbeat from World Dominance "Compression" with a phaser effect over top. I've pointed this out to friends but it's so well hidden that very few pick up on this. I would like to hear a slight remix of this that adds a louder non phased version of said breakbeat to drive home the point better. Never the less, what a brilliant track and I really did buy the T-shirt in 1993 at the local record shop. I still have it, it's pretty yellowed from use, but I'm not throwing it out. 2 editions here for the general uk release. The first one comes in a stickered sleeve with track listing etc, the later editions came without a sticker on the sleeve. Excellent pressing! Plays at 33 RPM but sounds like 45! Nice work. I was afraid to have a bad pressing/mastering but it's not the case. Very good one ! I was fortunate enough to pick up on this tune really early on and remember playing this to a few friends who weren't that impressed, but it was a very different story when those first few notes dropped in a middle of set on a big sound system ! There's plenty of mixes to chose from, especially with all the remixes over the years, but for me its all about the Long Mix. With its synth / organ intro that instantly has your attention followed by the simplistic percussive loop with the organ and synth rifts building and morphing throughout the track keeping you interest all the way through. One of the seminal house tracks that seemed to crossover all genres. The Angel Moraes remix of "Plastic Dreams '97" is actually based on Jaydee's 2000 Remake (from 1996) and consists of samples taken from 1:00 to 1:06 and 1:14 to 1:18. First released in a longer version on 12'' and re-edited (very abruptly) at 5:08 for the commercial release.Minimal work, but I like the mysterious feel about it. David Morales version samples 'Keep On Jumpin' by Todd Terry, which itself sampled the chords of the original disco version by Musique. What no one has mentioned is that Plastic Dreams crossed genres and was played by house dj's, techno dj's & trance dj's there are only a handful of tracks that have done this so seamlessly. Great trance track using house rythm. Love this tune. The long version is really hypnotizing.